Where are the tour guides and advocates for the Travel Agency business? Maybe they are on vacation. After travel agencies and travel agents themselves are vanishing one by one and have been for a long time. Like most people I had thought of this many times before although I don’t frequently arrange for my own travel but sometimes I do. The internet killed the travel agency business right? Well sort of. One recent blog report on ‘That Said’ http://bit.ly/hBnSOZ noted that less than 1 in 10 people use travel agents. That figure probably does not surprise anyone especially me. At a Rotary club meeting today one of our charter members (almost 30 years now) Judy White spoke about her travel agency – Wilton Center Travel www.wiltoncentertravel.com which she started in 1978 as part of her ‘third career’ as she put it. As I listened to Judy list the virtues of why she is the lone remaining travel agency in town I thought ‘I wish I would have known her story sooner as it likely would have had me sit down with her and have her help arrange a past family trip or vacation’. That’s not to say that I won’t do that now but I feel as if we might have missed some opportunities to make great past family vacations even greater. Having been to all seven continents (and at 70 plus years young she is soon off to the Galapagos Islands with her granddaughter – what energy!) and having been to every destination in the brochure she handed out, the level of Judy’s credibility is virtually unsurpassed in the travel business. She also noted that people’s misperception of travel agents is rampant. She related that from a pricing standpoint travel agents normally can match the lowest prices found on the internet nearly every time. The message is – you will not pay more to use a travel agent. How many people have received THAT message? The travel industry does a lousy job supporting the legion of remaining travel agents. And experience counts. Big time. People that think they want to go to particular destinations because they look nice in the pictures on the internet are using hope as their strategy for picking the right place. Travel agents like Judy KNOW about the destinations people are considering. They can advise you of what’s really going on with their inside connections. When is the last time you got that kind of information over the internet? And if you have a problem with a reservation you made over the internet exactly who are you going to call? Good luck with that. People seem to think that ‘beating’ a travel agent out of their fees is to be worn as some sort of badge of honor. But what they don’t realize is that there are very few fees paid directly to a travel agent (air fares are one exception as that is a turnover fare the airlines charge travel agents so you are probably better off buying airfares on the internet in most cases). So by surfing it up on the web looking for your vacation you are probably not ‘winning’ that game at all and while all the time you spend rummaging through a myriad of travel and vacation sites may be an enjoyable experience and even exciting, it probably is not the most practical way to go about booking hotels, cruises, tours and the like. After all time is money isn’t it? It appears to me that the travel agency business is poorly represented by ASTA (American Society of Travel Agents) their association since key attributes as I’ve described are hardly promoted at all (if at all). Perhaps ASTA could use a new marketing agency (sorry I could not resist)? 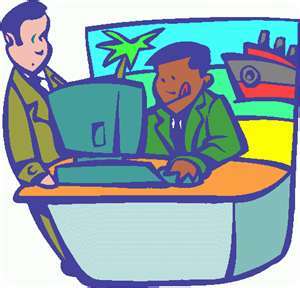 Are you running your business like a travel agency? If you are running like Judy White does then I think that’s a good idea. Here’s hoping people like her hang around for a really long time. This entry was posted in Best business practices, Communication, Marketing stuff and tagged ASTA, Cruises, That Said Blog, Tour Guides, Travel Agencies, Travel Agents, Vacations, Wilton Center Travel. Bookmark the permalink.